Garmin VIRB – What Say You Go Pro? 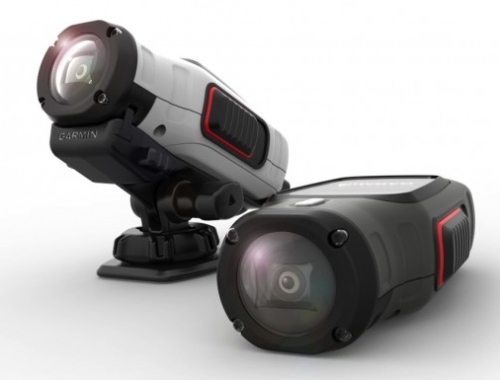 Garmin is taking a bite out of Go Pro with the launch of their new rugged action camera, this is a new line for them, but Garmin does know adventure. Go Pro has been a huge hit with a lot of people and I for one love it, the only thing I wish for is more battery life, and it comes with a lot of accessories. Now Garmin has made this camera based on their input, and from the preview looks like and the specifications it looks good. 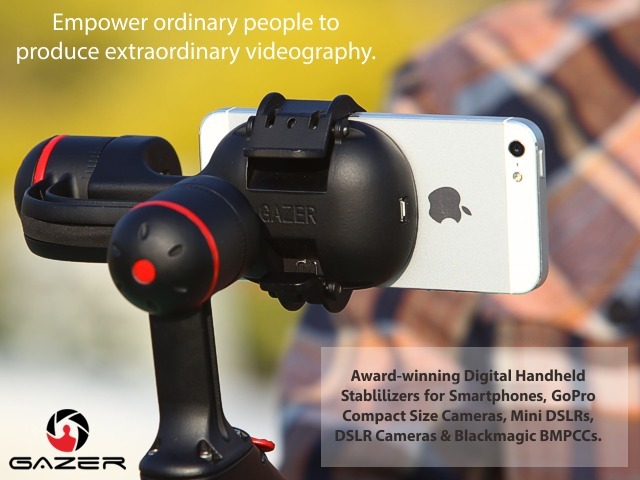 The VIRB captures 1080p wide-angle video, featuring digital image stabilization, and the ability to take 16-megapixel still images without interrupting video recording. Even with the always-on 1.4-inch color display, the VIRB allegedly lasts up to 3 hours recording 1080p video, compared to the GoPro, which only claims 2 hours and 15 minutes with 720p resolution. It also presents information in the video as elevation, speed, and gps location which they consider to be a key factor. 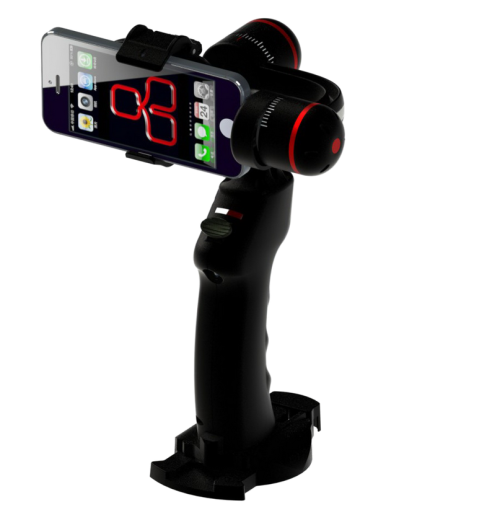 The device itself is IPX-7 Waterproof rating, meaning it can be submerged for up to 30 mins at 3 feet deep. And the way the picture of the device looks, it seems it can take a beating. 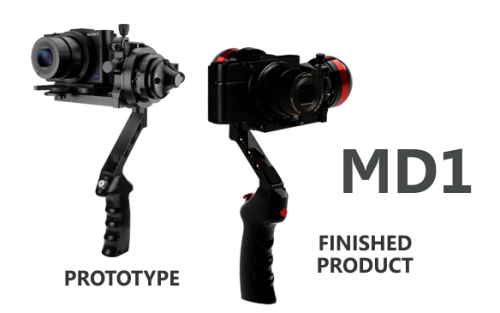 There two versions, the VIRB & VIRB Elite which will be launched in September at $299 & $399 respectively. There are a lot of features to this device which can be found at the Garmin website, so they can prepared, lets see how it fares against the Go Pro because honestly nobody has really dented their market share since they really good at it. This has been an interesting year with a lot of new hardware being introduced from everyone, from TVs, Cameras, Laptops, Tablets, Phones and a whole lot more. My list for electronics was freaking long, I had about 20 items on her and it was hard bringing them down to this, so many good pieces of hardware but I wanted to just list the gear that I really use. Basically what was abused, even if it was in a short period of time like the Nexus 4, but I have been waiting for that phone for so long and I’m happy that I’m using it. A few items didn’t make it to the list like the GoPro Hero 3 because its a bit too soon to judge, it has its crappy moments and its great moments. Still too many pieces of hardware to review but I will get to them. Asus Zenbook – Best Windows Laptop Ever! This is one of the final hits the G12 has taken and it looks like it was the last one. 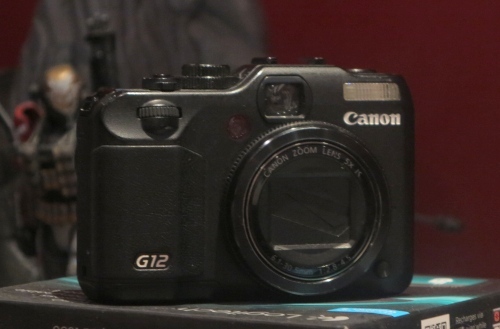 Canon G12 Series is heavy duty and can take a beating, but the other day I forgot that I left it on my bike jacket and pulled the jacket out of the car. It took a nasty fall onto concrete and I thought it wouldn’t work, but it worked fine but then it kept getting worse, the screen would only work if I pressed hard and took a picture, if I didn’t press on it the picture would be distorted too. I’m honestly very annoyed that I was careless, I have had this camera for so long and it has been best all round point and shoot I have ever had, and even now that I’m getting the G15 I still wanted to keep using the G12, I might be tempted to pick up a used one just because it really is that good of a camera. My G11 went out almost the same way so its frustrating to see these cameras just sitting there and the only place that fixes them is in the US and no where else. 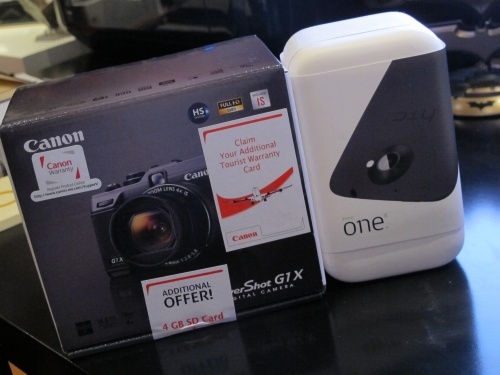 I’m a huge Canon fan and I have been using my Canon G12 for a few years now and it was a decent upgrade from the G11. I got the G1X which was supposed to be the top of the line monster from the G-line but it didn’t hold up to my expectations. The Macro distance was honestly disapointing, its fast but not as fast as the G12 feels so I didn’t use it as much. 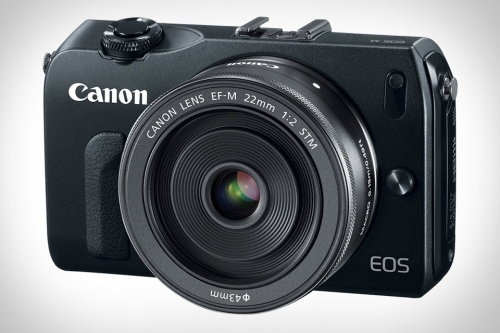 When I heard about the EOS M I was excited, a Camera from Canon that is the size of the point and shoot but with mountable lenses, and with an adapter you can use the Canon Lenses I have and that is what appealed to me. After reading a few reviews they said that sometimes it took up to a minute for it to focus depending on the lens. That is a disaster, the first great mirrorless Camera from Canon and everything on paper said they got it right but if it can’t focus quickly then it would be pointless. Now the G15 is here, and it is the perfect camera for my needs, fast focus, excellent macro, bulky and slightly smaller so its the perfect fit. A faster process so it takes better pictures, the perfect camera for my needs. Then there is the price, the G15 is $500 and the Canon EOS M is $850 and another $200 for the lens adapter to use the DSLR Lens on the Mirrorless camera. I was willing to spend $1000 for a point and shoot but it has to perform at that price, but in this instance the G15 wins on both price and performance. Now this is the camera for me, at last Canon can hear my thoughts. 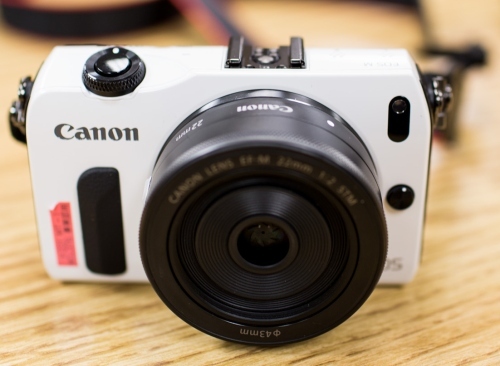 Canon’s EOS M is finally upon us. $800 will get you the company’s first mirrorless, interchangeable-lens camera, with a 22mm prime and a sales pitch centered firmly around its video capabilities. 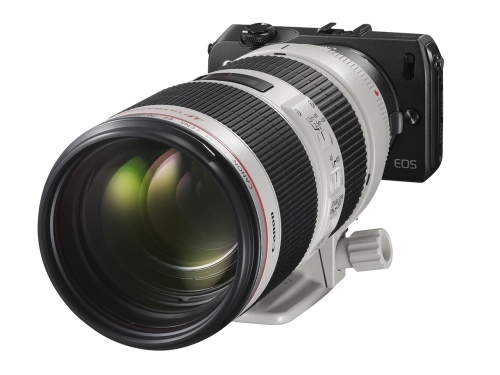 It certainly took them long enough when all the other manufacturers were doing it, Canon finally stepped up to the plate and they are pulling out all the stops. Blurring the lines between a DSLR and a point-and-shoot, it has a lot of the Capabilities of the DSLR packed into a compact size yet you can use your DSLR lenses on it. 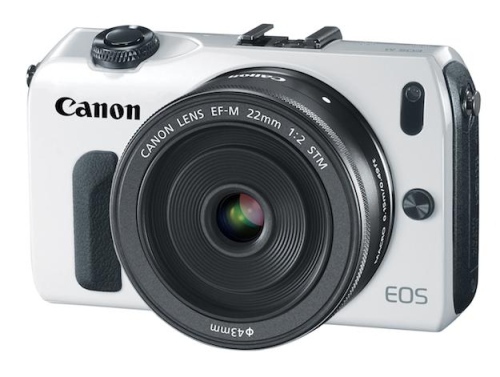 And the specifications on this camera are nothing to joke about, Canon have done a good job and I want to add this camera to my list. 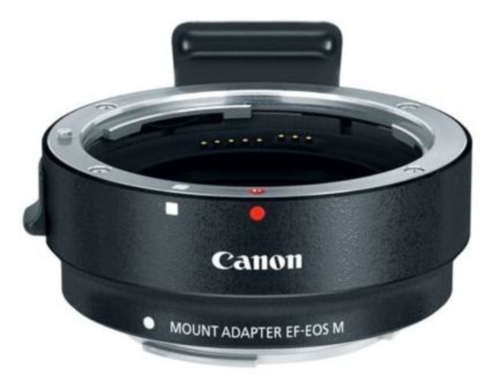 Full manual exposure control when shooting video, and an available mount adapter so you can use nearly any EF or EF-S lenses. The exact type of camera that I would like, I don’t want to lug around the DSLR around my neck all the time but sometimes I want a camera that I can uses all the lenses that I have, and with all the features this mirrorless beast is very rich in video controls and options. The release date is set for October. 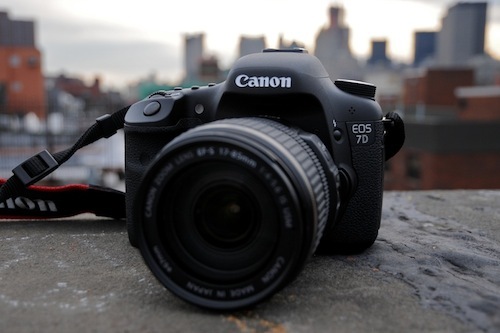 At last some updates for the Canon 7D, for me the 7D has been my favorite camera/DSLR period. Its simple enough that I can use it and complex enough that it can do so much. I especially love its video recording features and I hope they have upgraded it for this time around. There are two updates one is for the Canon 70D and the other is the 7D Mark II. I hope the changes for the 7D Mark II are so much that it makes it worth it for me to upgrade. I have had my camera since Dec of 2009 and I still think its fantastic, I just want more for the video features and I hope they deliver on it. For now these are just a few rumors, I’m hoping for more news soon, come on Canon make us happy. Every once in a while I do this, I get something that has been on my to buy list as soon as its out even though I wanted to do abit more research. It seems this I will be doing a lot of testing with these two lovely products. Usually I think of Dubai Duty Free as a rip off that I can always get things cheaper online and I am better off getting it from Amazon. But when I saw the items in front of me I had to take a look of them, then I walked off and thought that I will get them later. After a little while of thinking I thought to check the prices in Amazon and in Dubai Duty Free just to make sure and this is the simple breakdown for the HTC One X its $645 on Amazon & $681 in Dubai Duty Free, for the Canon G1X its $799 on Amazon & $815 in Dubai Duty Free. I couldn’t believe, the difference was so small, I always thought the difference would be huge but I was surprised it was so little, at that point I had to do very little thinking and the one thing that was stopping me from making a purchase was no longer there. It seems everything I purchased had a an X in it, and I have to say that I am currently very happy but my credit card took a hit with this purchase. For now my appetite for electronics has been satisfied and I will be posting a review or a decent write up on both, the camera will be first of course, I was snapping pics with it since I got it. I have been looking forward to getting my hands on the Lytro for a very long since its built on a new type of photography technology, basically allowing you to focus the picture after taking it. I had very high hopes for it be amazing, especially since its very oddly designed, not your regular camera, but I was waiting for some reviews to make a decision, and this is honestly the best and most thorough review I have seen by far. After watching the video and reading at article at the verge I don’t think I will be getting the current incarnation of the Lytro since it has a few drawbacks and limitations which can be overcome over time, so I’m gonna wait for a little while for next generation of this camera before making a purchase. Check the link below for the full article. CES comes around and all the good start showing up, the next thing you want to buy and this interesting camera is peaking my interest. 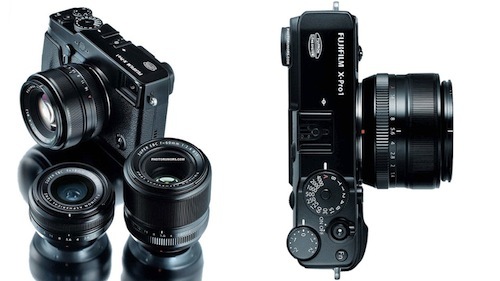 This time around Fujifilm introduced a very interesting new camera, the X-Pro1. 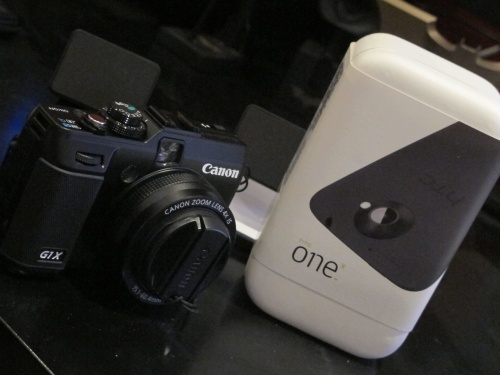 The new X-Pro1 will feature a 16megapixel X-Trans CMOS Sensor, with an APS-C format. This new type of sensor uses a Bayer color filter of 6×6 pixel (instead of the regular 2×2) to prevent the generation of moire and pseudo color. 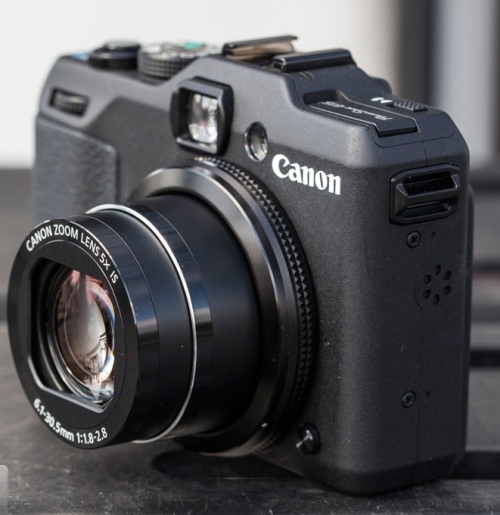 Basically it will shoot very cool shots and the camera looks retro which is function combined with looks, the best part is the interchangeable lenses . But its a bit on the pricey side going for $1700 and of the 3 lenses would cost $650 each, so by the time your done you would have spent $3650 on a camera which could have amazing shots. I will wait to see a few reviews, still I’m tempted.